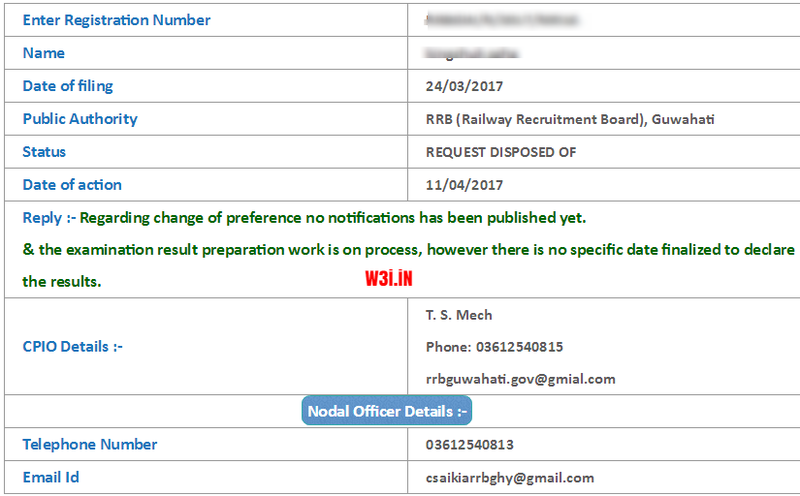 RRB NTPC 03/2015 RTI information – Latest RTI Reply regarding Railway RRB NTPC Post Preference Change, Normalization, Exam Result, Total Vacancy and candidates details: Since couple of days after completion of RRB NTPC 2nd Stage Mains Exam, I am getting many queries which even RRBs hasn’t shared publicly. Luckily, someone has filled RTI to Railway Recruitment Boards (RRBs) to ask all these questions regarding on Change in Post Preference Order, Normalization of Marks, Mains Exam Result, Total Vacancy, Total Candidates, Psycho/ Aptitude & Typing Test date etc. How many candidates appeared in RRB NTPC Mains, When RRB NTPC Psycho/ Aptitude Test will be held? When Railway 2nd Stage Result will be declared? When RRB NTPC Final Result is coming and if vacancy under RRB NTPC increases? These are the questions to which the Railway Recruitment Board (RRBs) has responded. As many as 2,24,000 candidates appeared RRB NTPC 2nd Stage CBT (Mains) online examination. RRB NTPC 3rd Stage will be held in last May/ June. There will be direct selection for TA, CA, ECRC and Goods Guard posts. RRB NTPC Mains Result to be out in May 2017 (No Exact date). There will be Normalization in RRB NTPC Mains. Here we have got some copies of RTI reply from two different Railway Boards (RRBs) in which they have also shared different views when asking for changes in RRB NTPC Post Preference order. Initially, RRBs were not in favour of changing post preference order against the RRB CEN 03/2015. 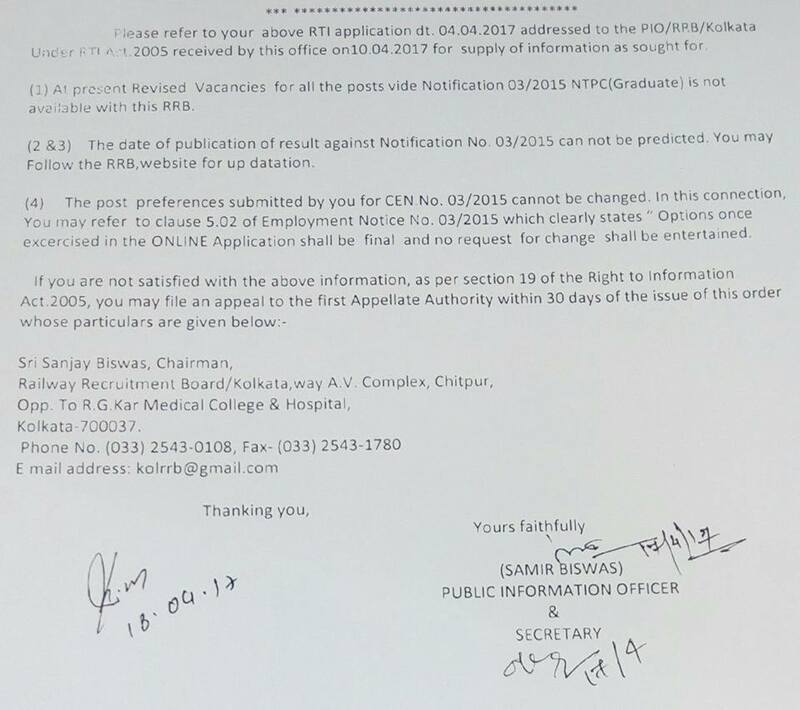 It is also written in the 03/2015 notification, para 5.02 - Option once exercised in the online application shall be final and no request for change shall be entertained. But they got an excuse meanwhile, they started saying another opportunity to change post preference will be provided due ot increase of Grade Pay through 7th Pay Commission. But, truth is something more, check out the below mentioned picture. You can clearly see, increase in Grade pay is not an issue. Railway is going to provide another chance to change post preference order just because of revision or decrease/ abolishment of posts/ category not because of increase in ASM Grade Pay. When asking RRB Kolkata, this is what they replied through RTI. "Whether change in Post Preference will be allowed in RRB NTPC 03/2015." 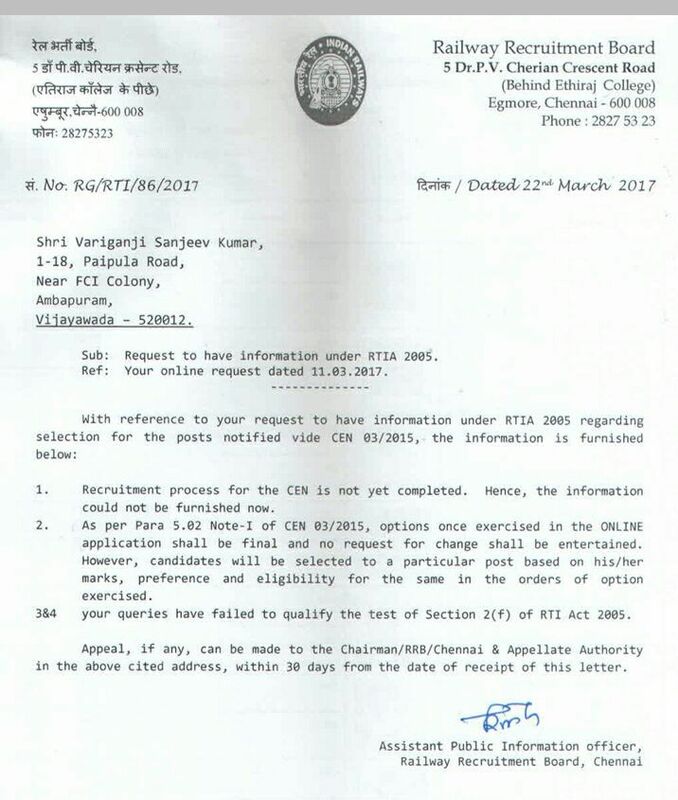 According to the latest RTI reply form RRB Chennai, options once exercised in the Online application shall be final and no request for change shall be entertained. They have strictly denied changes in post preference order. When asking RRB Guwahati about change in post preference, this is what he shared in a RTI Reply. "Sir, I want to know if rrb ntpc will allow the candidates to change their preference post for the notification number 03/2015. I am a candidate who appeared for the mains and willing to know when rrb is going to declare the result." 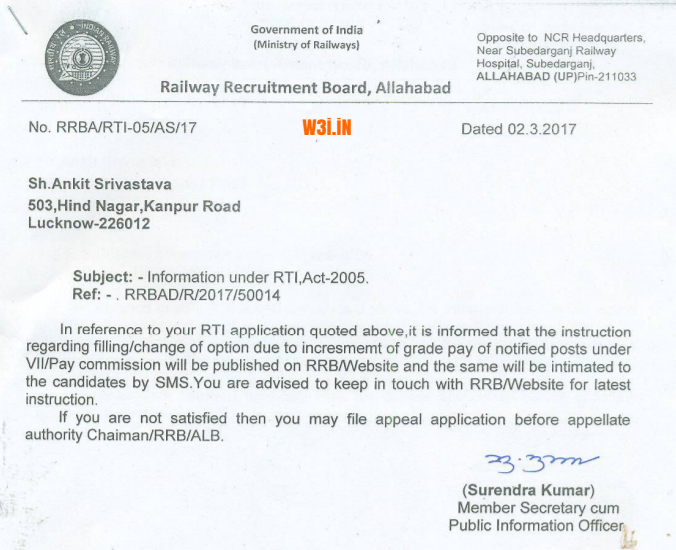 As per the RRB Allahabad, aspirants can change their RRB NTPC Post preference order which revealed through latest RTI replay. Check out the answer below. Candidates are recommended to stay in touch with us, we will keep updating this page with latest information on RRB NTPC Result and other details. 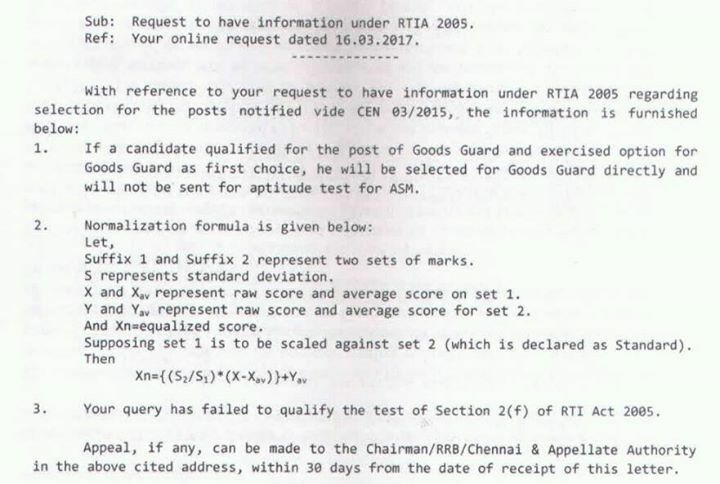 In this RTI Reply you can see, Psycho Test will be conducted for ASM & Traffic Assistant posts only. Candidates with TA, CA, GG & ECRC as their initial preference will be selected for these posts directly if they reach cut-off marks. Formula to calculate Normalization Marks also answered in this RTI.